As its hunt for original television and film content heats up, Apple is now reportedly looking to land film distribution rights to the James Bond film franchise (via The Hollywood Reporter). Warner Bros. is said to be the front contender, but Apple and fellow tech company Amazon are both in "hot pursuit" of the spy series. Sony's distribution rights for James Bond films ended with the release of the latest entry, 2015's Spectre, leading to multiple studios and companies vying for the rights. Sources close to the deal said that Apple and Amazon are willing to spend "in the same ballpark" as Warner Bros, "if not much more," in order to beef up their respective streaming businesses. Besides these companies, Universal and Fox are also pursuing the rights to the franchise. The deal is said to include the streaming rights to the entire James Bond film back catalogue, and potentially even "the future of the franchise." 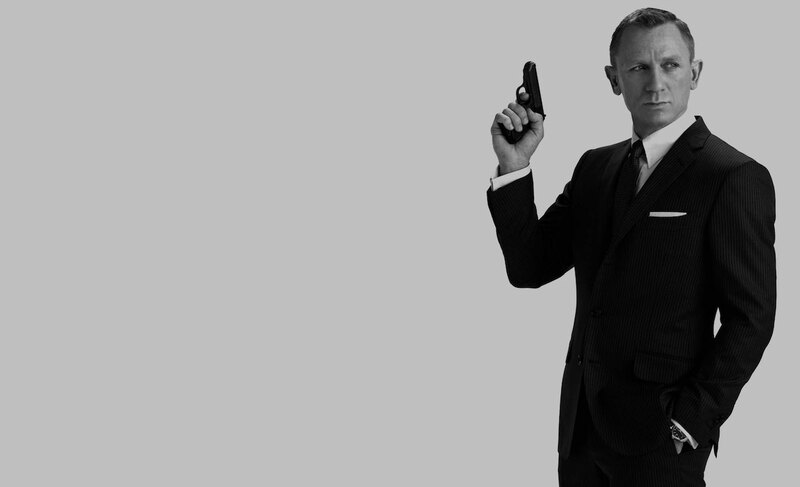 In recent James Bond news, Daniel Craig confirmed he'll be back to play the titular character in future movies. Newly hired Apple executives Zack Van Amburg and Jamie Erlicht are said to be spearheading the effort to acquire the James Bond franchise on Apple's behalf. Those close to the deal estimate that the property could be worth somewhere between $2 billion and $5 billion. James Bond, now with more watch bands. The name's Band. James Band. The franchise does need something new. It is hilarious when the parody (Kingsmen) is more enjoyable than the original franchise. I wouldn't call Kingsmen a parody at all. It was clearly written to stand on its own. However, I would call The Brothers Grimsby somewhat of a parody of Kingsmen. Austin Powers, now that was a parody of Bond films. I'm shaken, not stirred by this news. Apple should bid on exclusive streaming rights for NFL games the next time the TV contract is up. It would be game-over for many of the cable companies. A LOT more people would cut the cord. In a way I hope Apple doesn't get it or become successful with video streaming. The future looks very bleak (and expensive) for the consumer of this kind of stuff. All these competing streaming services, all requiring a monthly subscription. There comes a point (from the consumer's point of view) that enough is enough. No more subscriptions. Is Daniel Craig going to stop or not-stop being Bond? Every time I read how he hated it, an article popped up about him accepting the next movie. Offer gets increased by 50%. I suppose the only reason for Apple to do this is so Amazon doesn't get it. I love James Bond but the franchise is dead. The new stuff is an embarrassment. It puzzles me though why Apple would bid on this and did not on NFL streaming rights. Live sports is the only growth area in TV right now.